The high-power station at Awanui of 30 kilowatts has been completed. It will be capable of communicating with Sydney at any hour. This station is provided with a tower 394 ft in height from which an umbrella-shaped aerial spreads from summit to base over an area of about 90 acres. A similar station at Awarua, near Bluff, is also completed. These stations are undergoing departmental tests. Awarua wireless station VLB opened on 18th December with Mr ALM Willis as Officer in Charge and Mr E Dunwoodie the first man on duty. 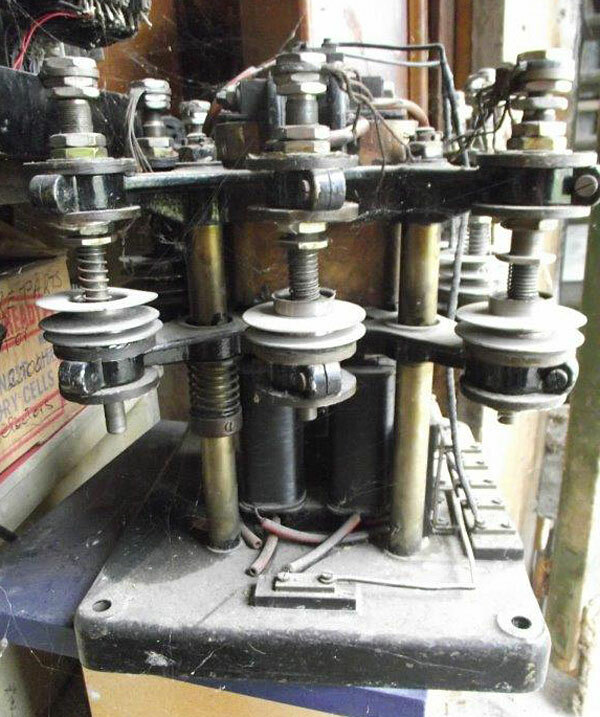 Other officers were GH Robins, PO Spry and H Adamson who were under the control of the Telegraph Engineer in Invercargill, Mr EH Lawn. 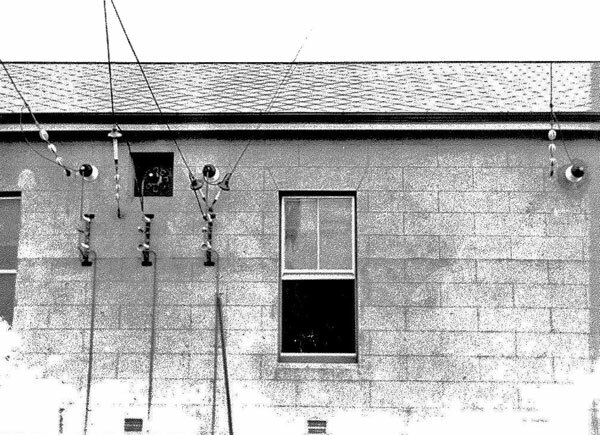 The engine building and one of the three anchors for the guy wires supporting the 394ft mast at Awarua Radio. Date unknown. 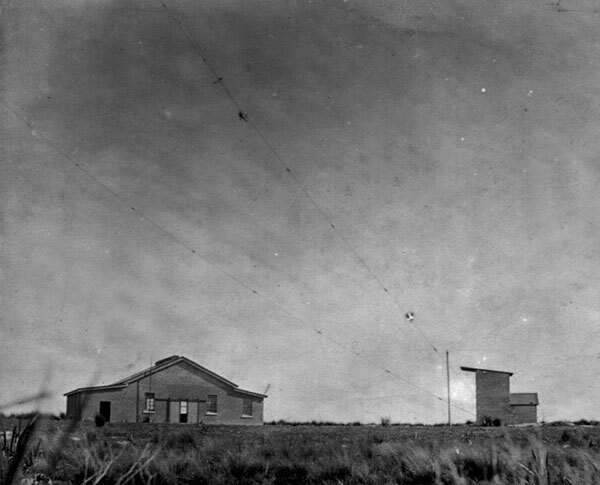 Aerial feedlines leaving the transmitter building at Awanui Radio or Awarua Radio. Date unknown. Three cottages were built for staff. Looking north from the top of the 394ft steel tower at Awarua Radio VLB. 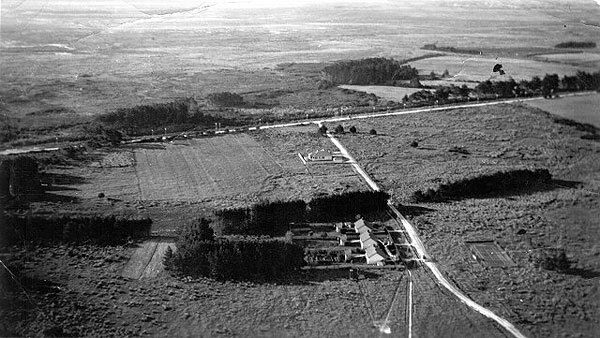 The main road from Invercargill to Bluff runs across the centre of the photograph and the three staff cottages are clearly visible. John L Davies became Officer in Charge. 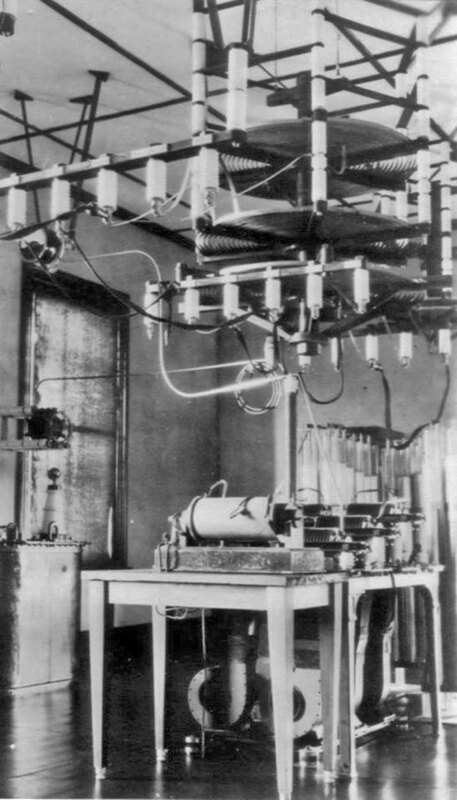 Kerosene lighting was replaced by a “Wizard” lighting system. The high-power stations at Awanui and Awarua were both opened for commercial work on the 18th December, 1913. Awanui is situated in 34°54′ S, 173°18′ E, and Awarua is 46°30’S, 168°23′ E. These stations are of 30kw primary power and have identical Telefunken equipments. 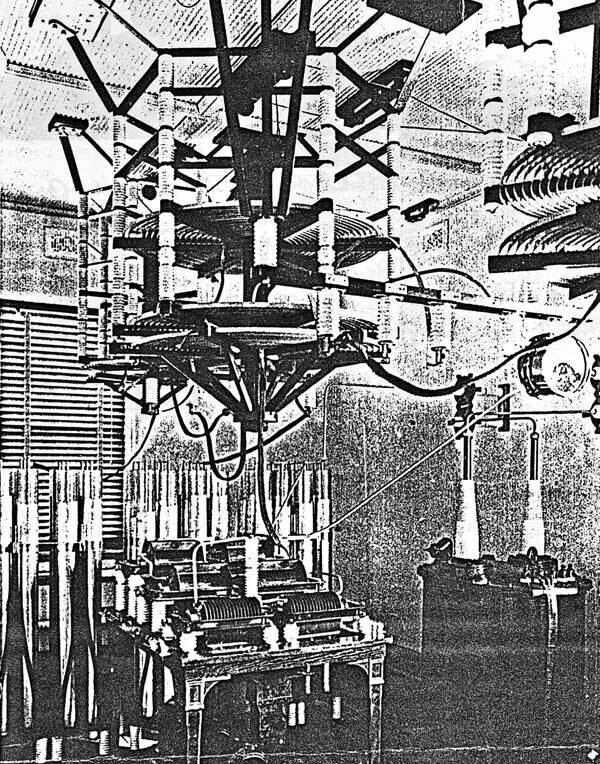 The severe tests made prior to their being taken over by the Department proved them capable of fulfilling all requirements and of ensuring wireless communication with Australia at any hour of the day or night. In August following the outbreak of the First World War, John L Davies, Palmer O Spry and E Dunwoodie left for Samoa with the New Zealand Expeditionary Force (Advance Party) to take control of the wireless station at Apia which was, like Awarua, a high-power Telefunken station. Even though Davies had been in charge at Awarua, he was to be Assistant Engineer, reporting to Spry, in Apia. WRH (Harry) Clarke became Acting Officer in Charge while Davies was in Samoa. John L Davies returned from Samoa and resumed his role as Officer in Charge. WRH (Harry) Clarke, who had been Acting in the role for a little over two months, took charge of wireless at Auckland. Awarua’s first manager, ALM Willis, also served in the war, sailing for Egypt in 1915. Soldiers guarding Awarua Radio during World War 1 pose with staff members. There is a good chance that the man front and centre in the top hat was John Davies, who was known to be short. It could, on the other hand, be Harry Clarke, the only other manager of the station during the war years. Click on photo for larger version. Recently the wireless station at Awarua served a useful purpose that is unusual in these waters. 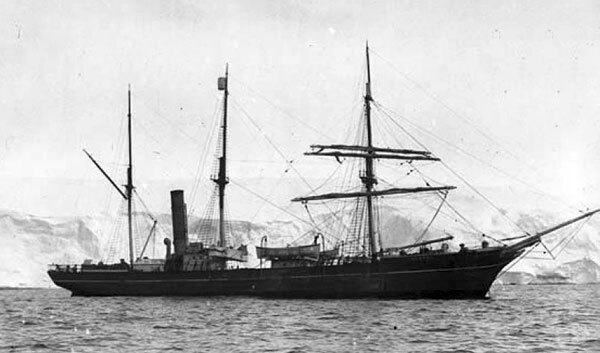 The chronometers of the ‘Aurora’ had not been checked since that vessel’s departure for the southern seas. The vessel was returning damaged, and required correct time to check the chronometers. 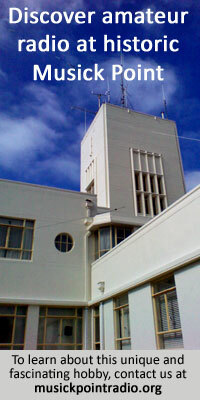 Arrangements were made by which at the three consecutive hours of 11am, noon, and 1pm the Observatory clock at Wellington was connected direct to a land-line circuit to the Awarua wireless-station. The length of this circuit was approximately 650 miles. The ship was on the lookout for a wireless signal, which was despatched by preconcerted arrangement practically stimutaneously [sic] with its receipt over the land circuit. The result was found to be highly satisfactory. WRH (Harry) Clarke, former Officer in Charge of Awarua wireless station, died of jaundice in Mesopotamia (Iraq) while serving in the First World War. Observations are being made at Chatham Islands and Awarua of atmospheric electrical disturbances which prevail in greater or less degree at all times. These are despatched to the British Association for the Advancement of Science. Aurora driven from Winter Quarters Cape Evans Blizzard May 6th and set north frozen in pack ice. Rudder smashed ship disabled present position lat 65° 00 S long 155° E. Prospects of relative safety of Southern party is doubtful. Little provisions and clothing at Ross Sea Base. I pray Your Majesty will permit ship proceed with all haste to Cape Evans McMurdo Sound with provisions and clothing. Read more about the Ross Sea Party and the drift of SY Aurora. WFC (Frank) Whiteman became Officer in Charge. A billiards table was installed in the social room. 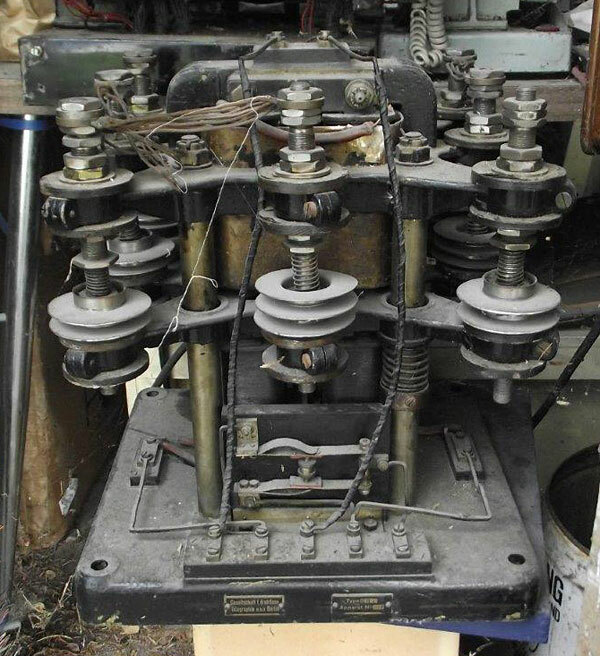 Spark gap transmitter at Awarua. Courtesy RG Newlands, who believes the venetian blinds distinguished Awarua from Awanui, which had holland blinds. If this is correct then the previous photo may be Awanui. It is also possible that this photo was taken at Pennant Hills, which we know had venetian blinds. 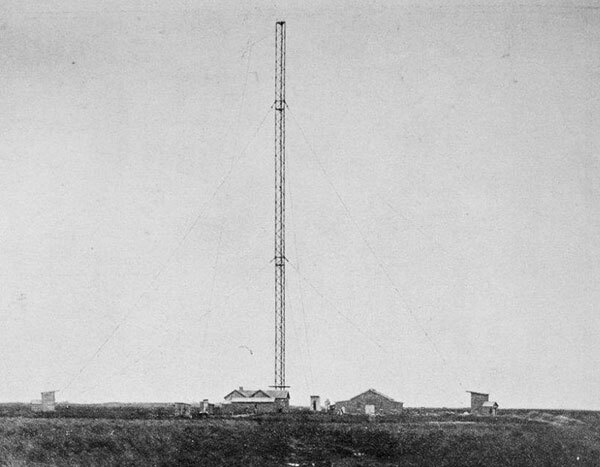 The ‘British Official Wireless Press’ was first transmitted from Leafield, Oxford. Awarua observed the press but did not copy. Awarua was the official standby station for schedules between VMA and Apia, and VLA (Awanui) and Apia in cases of transmitter failure at those stations. 1. Tyler-Lewis, K. (2006). The lost men: The harrowing saga of Shackleton’s Ross Sea party, Preface, Viking Penguin. 2. Wilson, A.C. (1994). Wire and wireless: A history of telecommunications in New Zealand 1890-1987, (p 95), Palmerston North, New Zealand: Dunmore Press.